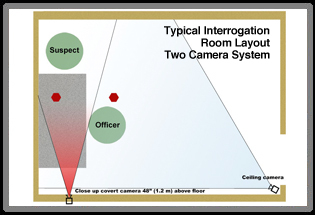 (1) Police High-Definition Interview Room Recording Equipment (2) Police High-Definition Video Recording Equipment (3) Video Recording Tools for Law Enforcement Interview/Interrogation Room Recording (4) Interview Room Audio and Video Systems (5) Interrogation Room Recording System (6) Interrogation room Recording Equipment (7) Interview Room Surveillance Equipment (8) Interview Room Recording (9) Interview Video Recording Equipment (10) Police Interview Room Video System (11) Recording for Child Advocacy Centers (12) Digital Video to Record Child Forensic Interviews (13) Recording Equipment for Child Abuse Interviews (14) Portable/Mobile Recording of police Interviews (15) Recording for Child Forensic Interviews (16) Video Recording Equipment for Interviews, Hearings, Meetings and Conference Recording (17) Audio Recording Equipment for Police and Law Enforcement (18) Concealed / Hidden Interview Room Microphones and Disguise Microphone Enclosures (19) Concealed / Hidden Interview Room Cameras and Disguise Security Camera Enclosures (20) Private Investigator Bug Sweep in Orange / Southern California (21) Home / Residential Bug Sweep Orange CA (22) Debugging / Bug sweeping / Bug Detection Services Orange CA (23) TSCM “Bug” Sweeping Services Orange CA (24) Electronic Surveillance, Eavesdropping, Wiretap and Listening Device Detection and De-Bugging Service Orange CA (25) Audio / Speech Enhancement and Recording Clean Up Services Orange CA (26) Forensic Audio Clarification / Enhancement Services(27) Licensed Private Investigation Agency in Orange County / Southern California (28) Technical Surveillance Countermeasures TSCM "Bug" Sweeping Services (29) Electronic Surveillance, Eavesdropping, Wiretap and Listening Device Detection and "De-Bugging" (30) Forensic Audio Enhancement and Analysis, Audio Filtering and Audio Clarification Services (31) Police Interview Room Recording Equipment (32) Police HD High-Definition Interview Room Recording Equipment and Systems (33) Police Audio Interview and Meeting Recording Equipment (34) Concealed / Disguise Interview Room Microphone / Enclosures (35) Concealed / Disguise Interview Room Camera / Enclosures (36) Police Law Enforcement Interview Room Design. LEGALTEK's disguise cameras incorporate the most recent Sony CMOS micro-lens image sensor technology, a design feature that significantly reduces picture noise, the primary cause of deterioration in image quality. Their increased sensitivity and incredible light gathering ability ensure the clarity of video recordings. The cameras are available in a variety of proprietary covert and surface mount enclosures. LEGALTEK's specialized microphone systems incorporate cutting edge active transducer technology with unique proprietary enclosures, yielding unmatched performance. 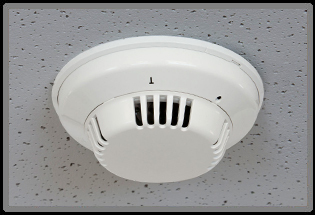 Their low-noise high dynamic range characteristics make them ideal for use in interview rooms and other surveillance applications. 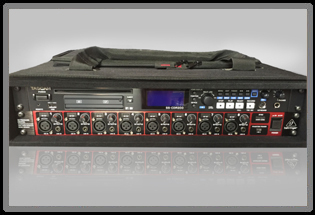 LX-MAR allows agencies to bring professional audio recording with them anywhere. Files are stored directly to removable solid-state USB, SD or Compact Flash memory. Recordings can be rapidly transferred or to CD-R or CD-RW discs in the field. LX-MAR is the most reliable and secure way for law enforcement and the legal community to record depositions, interviews and meetings. LEGALTEK is your resource for interview room planning. Our technical group is here to assist your agency with room design, layout and product selection.